Christian Sinclair of Pallimed and Kansas City has challenged us to a friendly wager. As many of you know, many of the bloggers at GeriPal (including me and Eric) are based in San Francisco. The world series is the San Francisco Giants vs. the Kansas City Royals. What an opportunity! For each loss in the series, the losing blog must write a post for the opposing blog. So, for example, after the Giants win Game 1 Tuesday night, a Pallimed blogger will owe GeriPal a post, to be published on GeriPal. Timing doesn't have to be the same night, so if the Giants win the series 4 to 1, then Pallimed owes GeriPal 4 posts, and GeriPal owes Pallimed 1 post, to be written in a reasonable time frame. If it's the same night, that's fine too. At the end of the series, the losing blog must send a dinner themed from their city. So for example, in the unlikely event that the Royals steal the series, we at GeriPal will send Pallimed a dinner of something like sourdough bread, Mt. Tam Cheese, and It's Its. 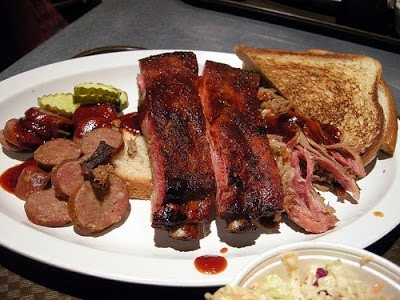 When the Giants win, we look forward to eating a fine BBQ meal from Joe's Kansas City. We may negotiate the finer details, but those are the basics. We accept your challenge...and can't wait for your 4 blog posts and barbecue! Just don't be Bum(garner)ed when you lose! Can't wait to have some of the Mt. Tam cheese! I hope there is a post on bereavement for the Cardinals fans in the near future. Good series Giants. Food will be coming soon. Let me know if there is a date you can get your team together to share in the food. Looking forward to it! Man that was tense - down to the final out. Great season for the Royals. Bumgarner was just too good. And if you thought this was just about sports and some fun on the side, it is important to understand that this could also be viewed as a public engagement exercise. Not what I initially intended but learned something along the way. Always learning!